Thank you for visiting my website. This is a great tool to search the market and learn the basics of real estate in Knoxville and the surrounding 14 counties. However, nothing can replace years of experience in making deals happen. Nothing can replace extensive knowledge of the Knoxville real estate market and the surrounding areas and knowing the red flags and pitfalls of buying and selling real estate. Nothing can replace personal service that you can trust. I want to work for you to make your real estate transaction as beneficial to you as possible. I want to form a relationship for life, not just for one deal. I want you to tell your friends and family about the experience you had with me while buying or selling real estate in Knoxville and the surrounding areas. Please use my site for all of your real estate needs. Please use me for all of your real estate transactions. I will be happy to provide all the information you need to buy or sell real estate in Knoxville, Maryville, Lenoir City, Oak Ridge, Sevierville and all of the surrounding areas. My team covers homes for sale, condos for sale and land for sale in the Knox County real estate market and all of the surrounding counties including the Blount County real estate market, Loudon County real estate market, Sevier County real estate market, Roane County real estate market, Anderson County real estate market, Union County real estate market, Jefferson County real estate market, Hamblen County real estate market, and many others. We have represented sellers and buyers in all of these areas and we would love to provide the same expert services for you. Whether you are a first time homebuyer or a seasoned veteran I have all the resources you need to buy real estate in Knoxville, Maryville, Lenoir City, Oak Ridge, and Sevierville. Foreclosure homes are more prominent than ever right now. There are a lot of foreclosure homes for sale in the Knoxville real estate market. Buying a foreclosure home for sale in the Knoxville real estate market or the surrounding real estate markets can be very simple. The process can also prove to be time consuming, confusing and very frustrating. My team has extensive experience in working on the buyer side of foreclosures homes for sale in the Knoxville real estate market and the surrounding areas, as well as short sales in the Knoxville real estate market. We have experience in working on the listing side of short sales, investor bought foreclosure sales, and bankruptcy or trustee sales. All of these transactions are complex and we recommend that you use a team of Realtors that has experience in these fields. There is no need to sign up for a foreclosure tracking service that charges you a fee. We can perform this service for you for free and do it more effectively and more suited to your personal needs. Please email us or call with any questions about foreclosure homes for sale in the Knoxville real estate market and the surrounding real estate markets. I have been working in the Knoxville real estate market for 24 years. I am consistently one of the leaders in the Knoxville real estate market in sales and service. As a native of Knoxville, real estate in Knoxville, Knox County and the surrounding areas comes naturally to me. My team covers homes for sale, condos for sale and land for sale in Knoxville which is the county seat of the Knox County real estate market. Homes for sale in Knoxville can boast georgeous views of the Smoky Mountains. There are many homes for sale in Knoxville and Knox County on the Tennessee River and Fort Loudon Lake. Knoxville is home to The University of Tennessee. Knoxville real estate is second to none. We make our home in Knoxville and hope you will too. 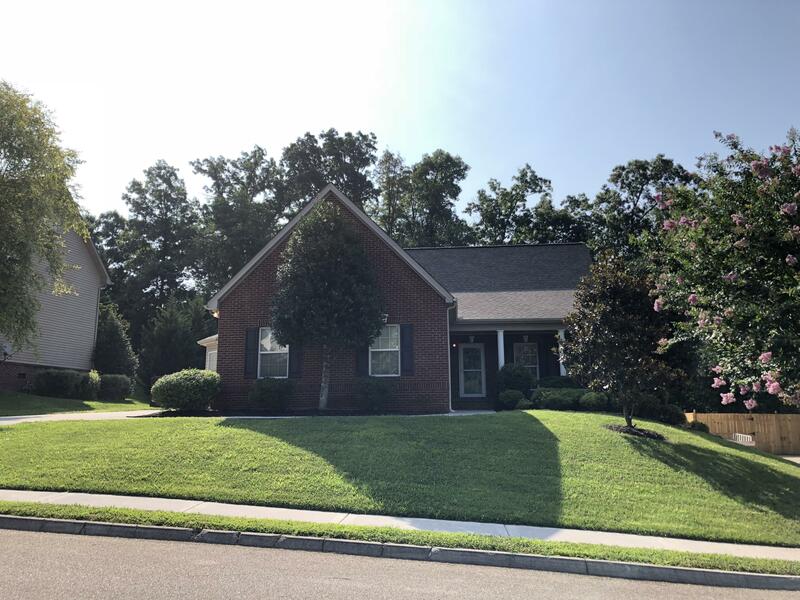 We also cover all of the surrounding counties including Blount County which has homes for sale in the Maryville real estate market, the Louisville real estate market and the Townsend real estate market. Blount County has many homes for sale right in the foothills of the Smoky Mountains. Blount County also has many homes for sale on the Tennessee River and Fort Loudon Lake. Maryville and Blount County real estate is south of the Knoxville real estate market. Loudon County has homes for sale in the Lenoir City real estate market and the City of Loudon real estate market. Loudon County has many homes for sale on the Tennessee River, Fort Loudon Lake and Tellico Lake. This also includes Tellico Village and Tennessee National Golf Resort. Lenoir City real estate, Loudon real estate and Loudon County real estate is southwest of the Knoxville real estate market. Sevier County has homes for sale in the Gatlinburg real estate market, the Pigeon Forge real estate market, and the Sevierville real estate market. This area is a major tourist attraction that is visited by millions of people each year. Gatlinburg, Pigeon Forge, Sevieville and Sevier County real estate is southeast of the Knoxville real estate market. Roane County has homes for sale in the Kingston real estate market, part of the Oak Ridge real estate market as well homes for sale on Watts Bar Lake. Roane County real estate is west of the Knoxville real estate market. Anderson County contains homes for sale in the Oak Ridge real estate market and the Clinton real estate market. Oak Ridge is one of the fastest growing technology centers in the country. Many people live in the Knoxville real estate market and work in Oak Ridge. Oak Ridge real estate and Anderson County real estate is northwest of the Knoxville real estate market. The Union County real estate market, Jefferson County real estate market, Hamblen County real estate market, and many others are all located under one hour from the Knoxville real estate market. We have represented sellers and buyers in all of these areas and we would love to provide the same expert services for you.